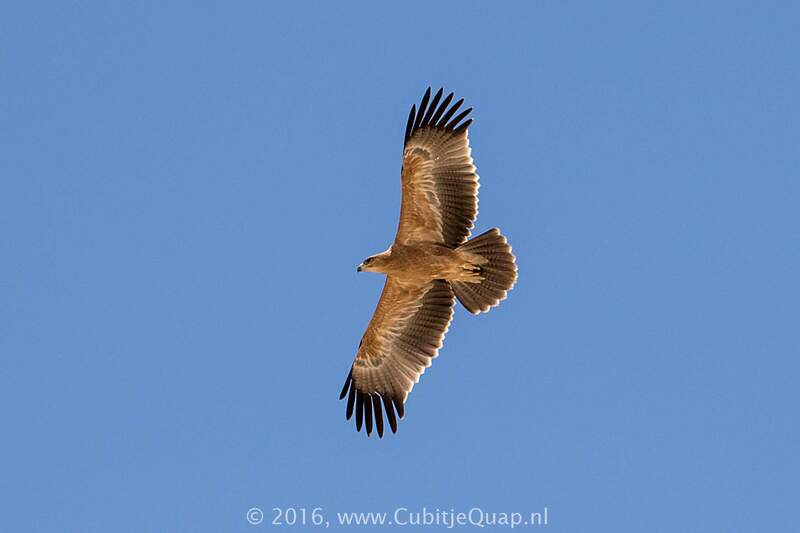 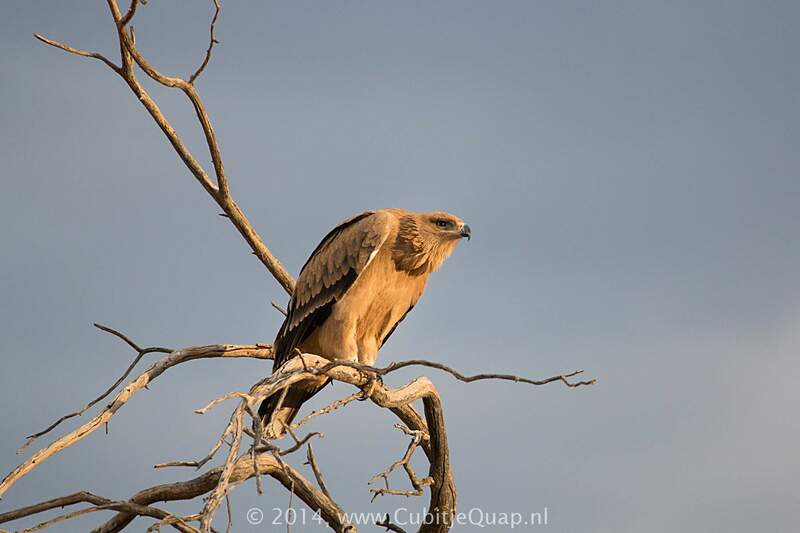 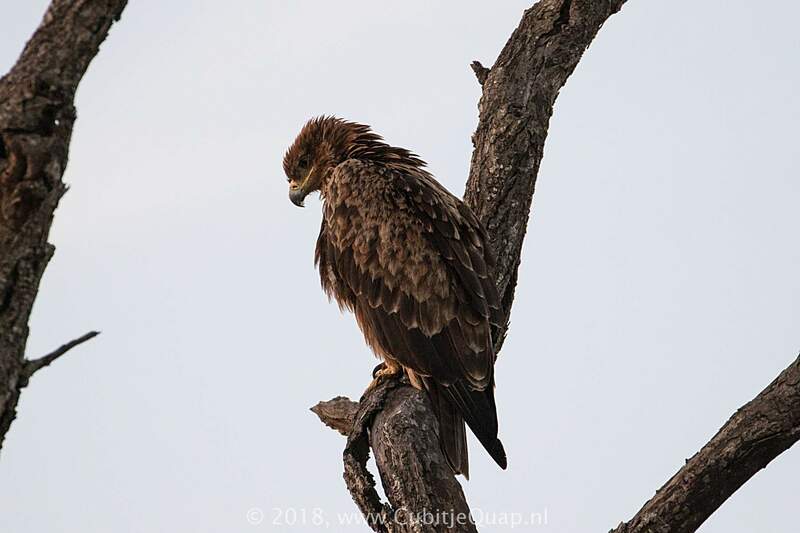 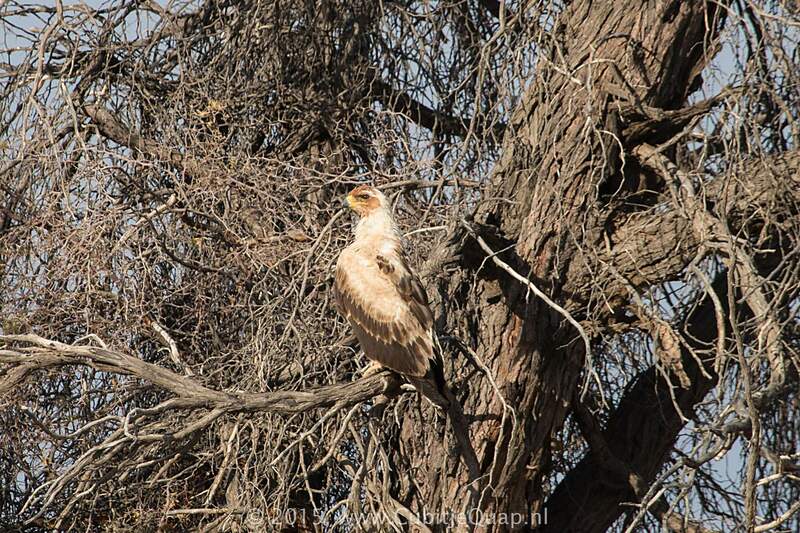 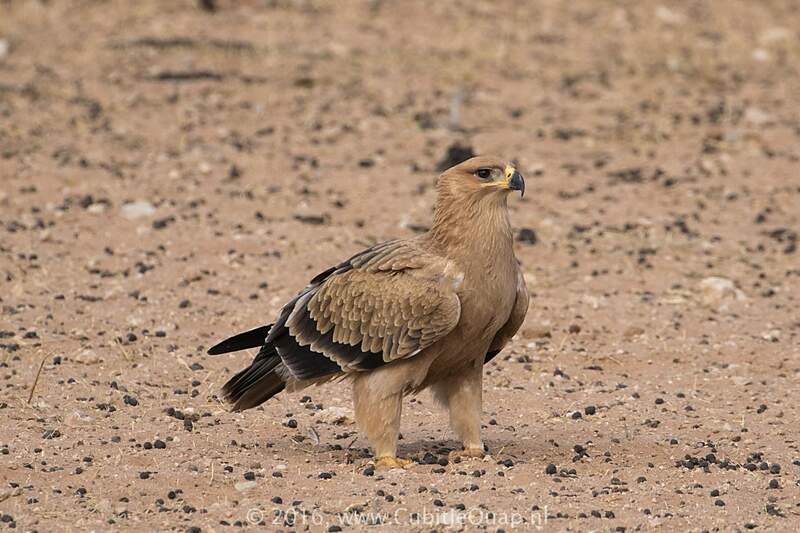 Easily confused with migrant Steppe Eagle, which is similar in size and shape. 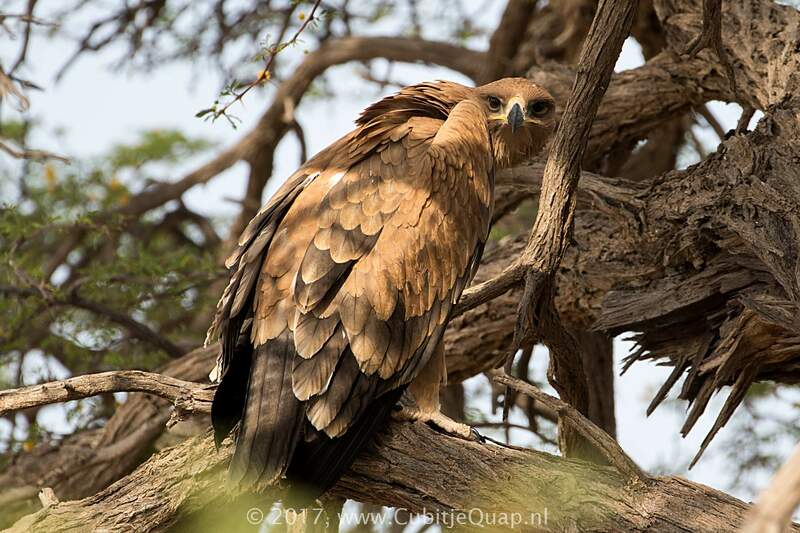 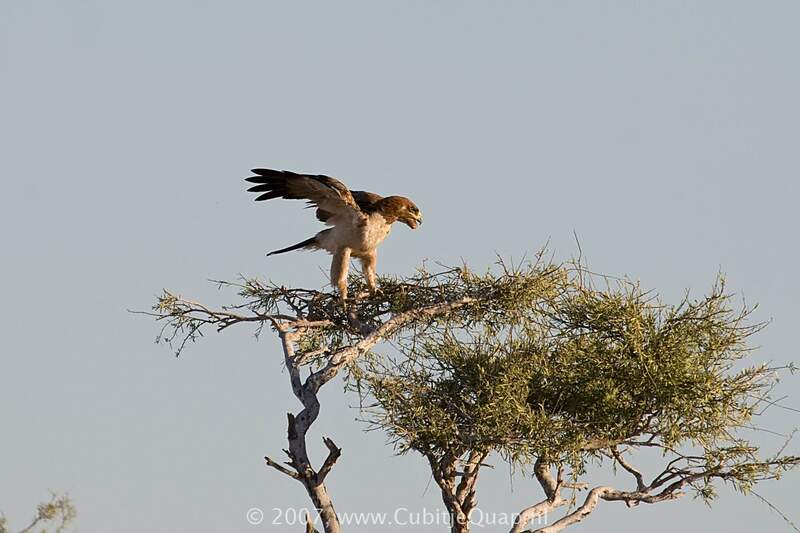 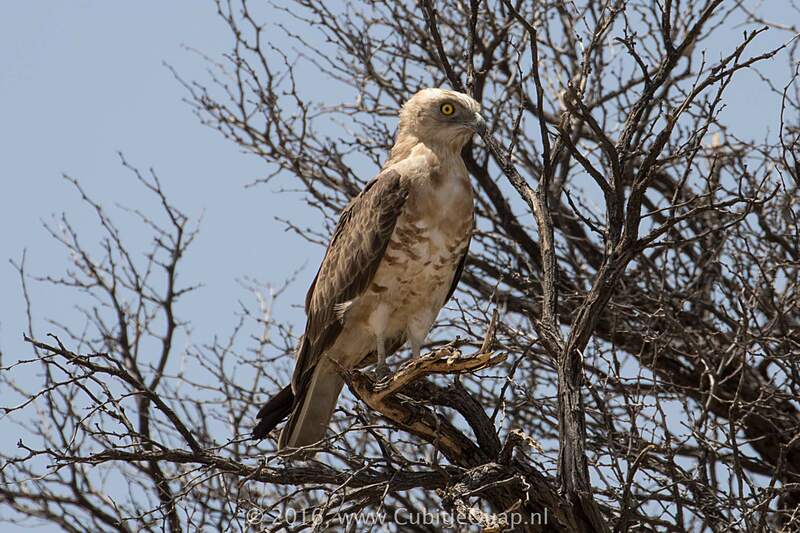 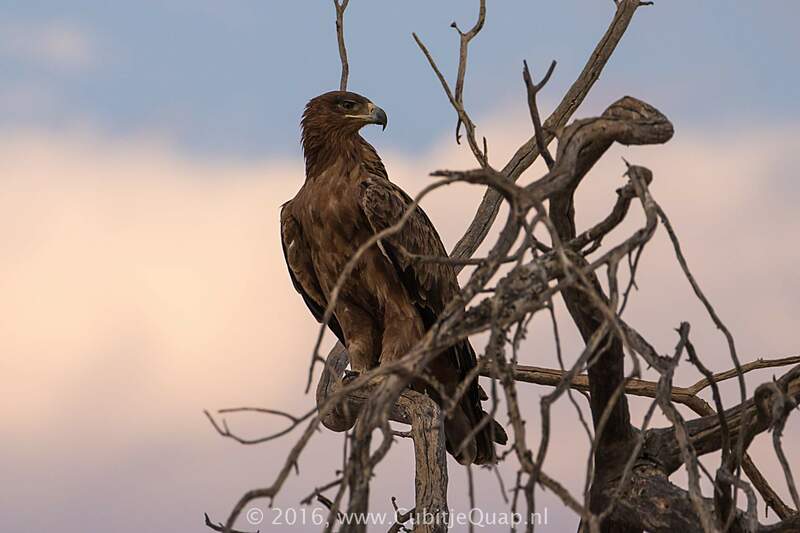 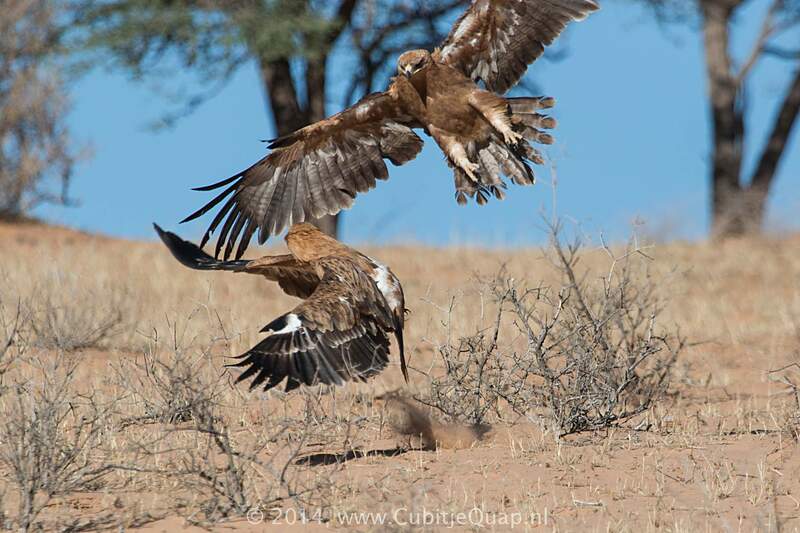 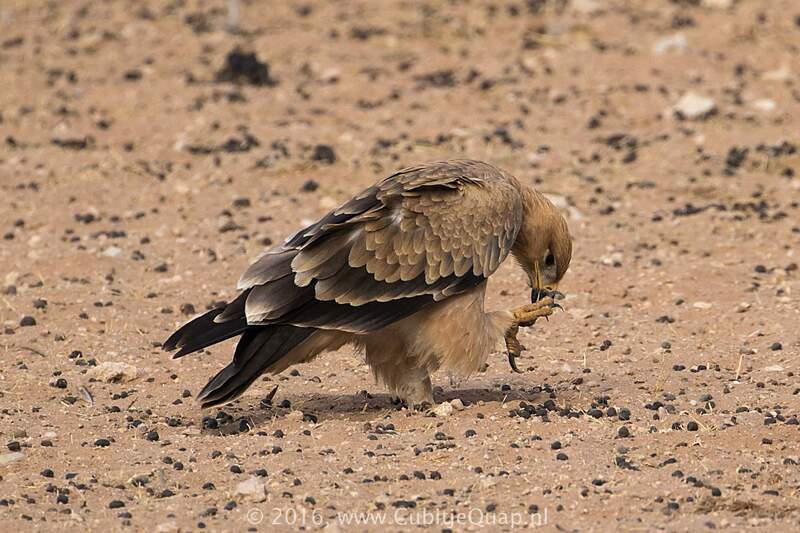 At close range, the gape length is diagnostic; in Tawny Eagle it extends only to below the middle of the eye. 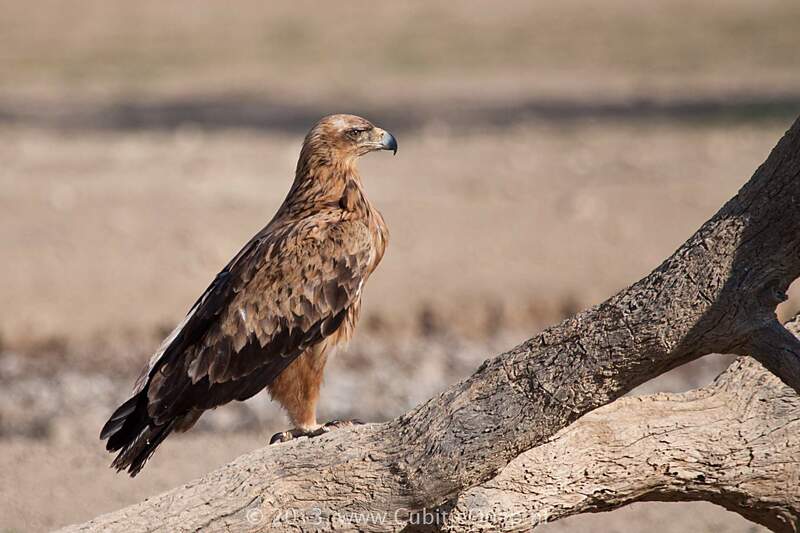 The unbarred to faintly barred tail is diagnostic. 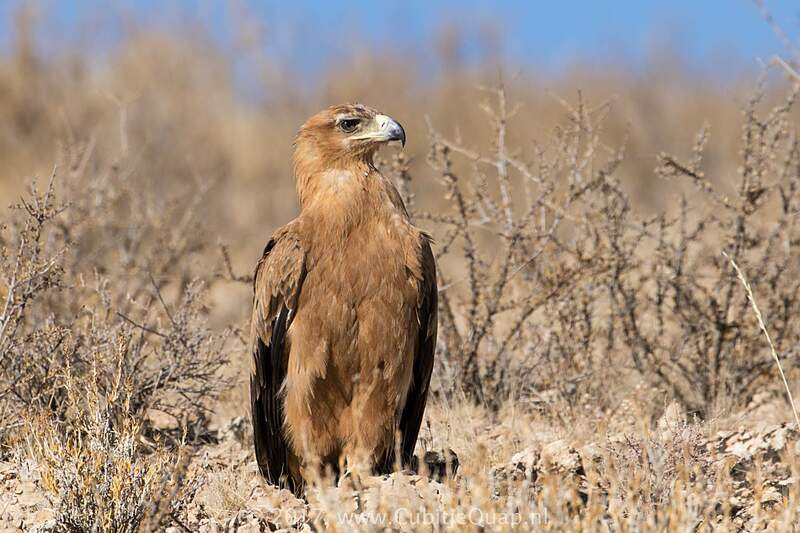 The plumage is variable: most birds are uniformely tawny, but they range from streaked dark brown to pale buff in colour. 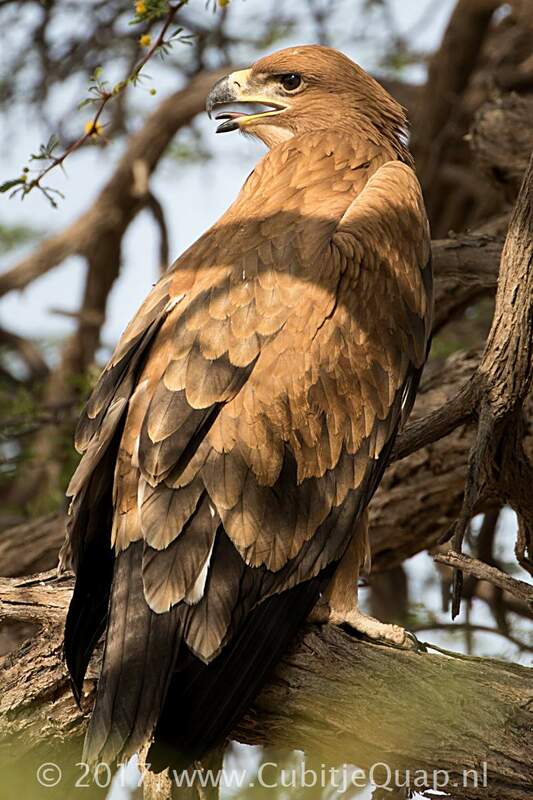 Adult has a pale yellow eye. 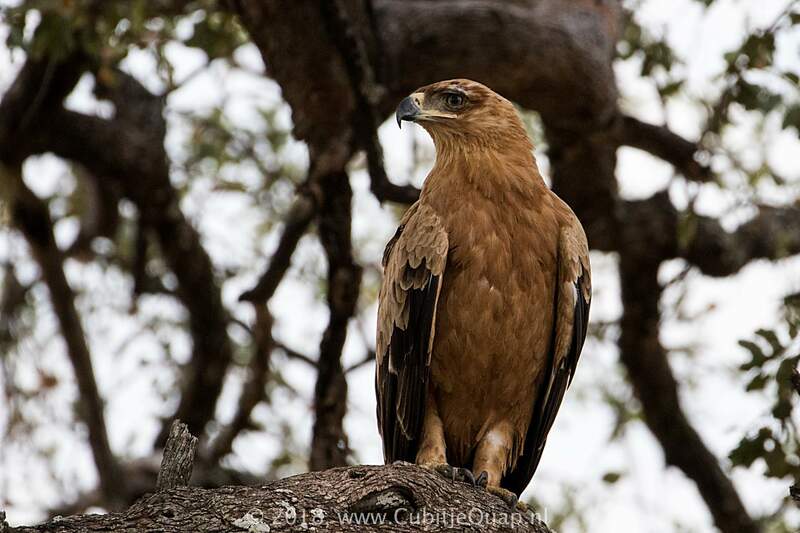 Female is usually darker than male. 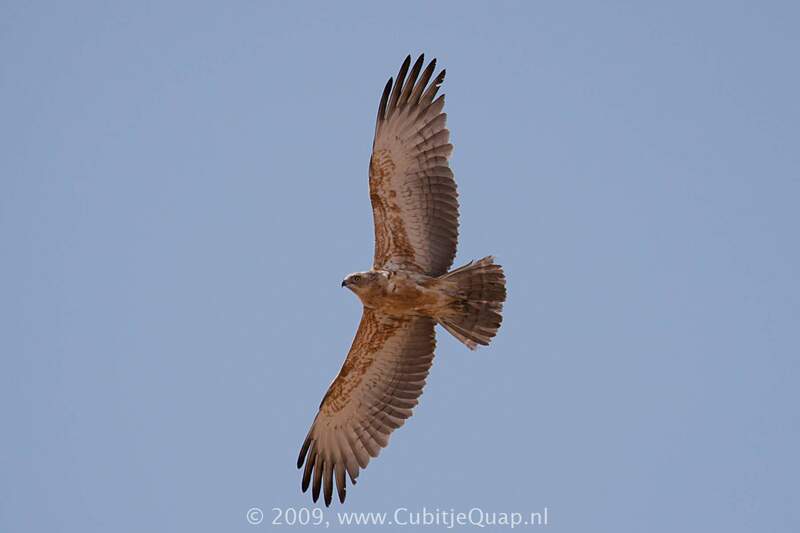 Juvenile is rufous brown, fading to buff as sub-adult. 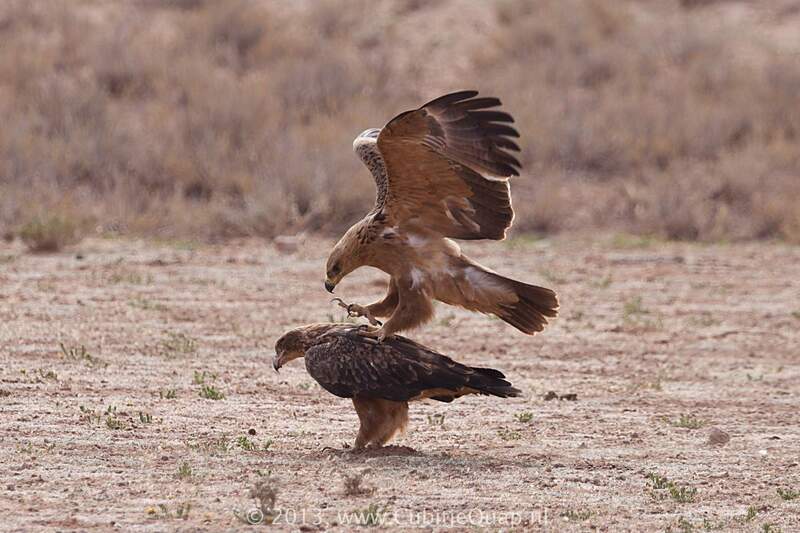 Seldom calls, a sharp bark 'kyow'.